In November 2013 report, Google Think Insights noted that 20% of all Google searches are conducted on mobile devices, and that 25% of US internet users access the Web via mobile devices. Therefore, it’s vital to your online success to have a website that’s optimized for both desktop and mobile users. The best way to achieve this is with a responsive design. A responsive design allows your site’s structure, content and images to remain the same whether viewed on a desktop, laptop or mobile device. That means when visitors land on your site using a mobile phone or other device, the design automatically responds. It will retract so that it fits on the device’s smaller screen. Here are four benefits of responsive design. Google claims 67% of the search market share ... so they should know where the search traffic is coming from these days. The search mogul prefers responsive design over two separate websites because it has to crawl multiple sites for SEO purposes. Another reason is that a responsive site allows both versions to reside on one URL. This makes it simpler for users to engage, share with and link to your assets than it does when content resides on a separate mobile website. It’s impossible to anticipate the screen sizes of every device used to access your website. Responsive design allows your site to work well regardless of screen size or ratio. This provides your visitors with a more efficient and consistent user-experiences. Prefer to have two separate sites? Then you’re going to need to need separate SEO campaigns. It’s not easy managing two SEO strategies at all times. Having a responsive site makes your SEO work much simpler. 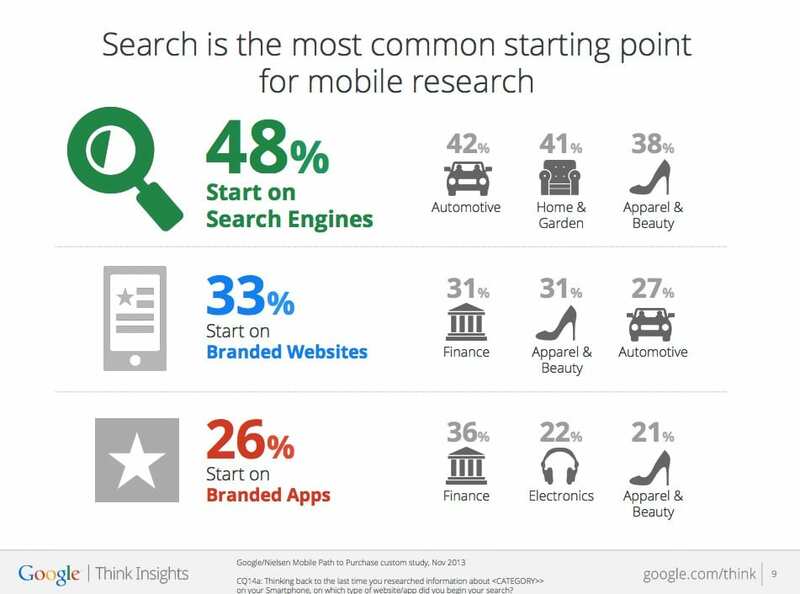 All you have to do is optimize your SEO keywords to include those frequently used by your target market mobile users. When potential customers land on your site using mobile devices, but your site simply won’t work properly, they’ll move on to your competition. However, with a responsive design, they’ll remain on your site longer, searching and browsing. And since more and more consumers are shopping online using mobile phones and tablets, a responsive design will help increase conversion rates.